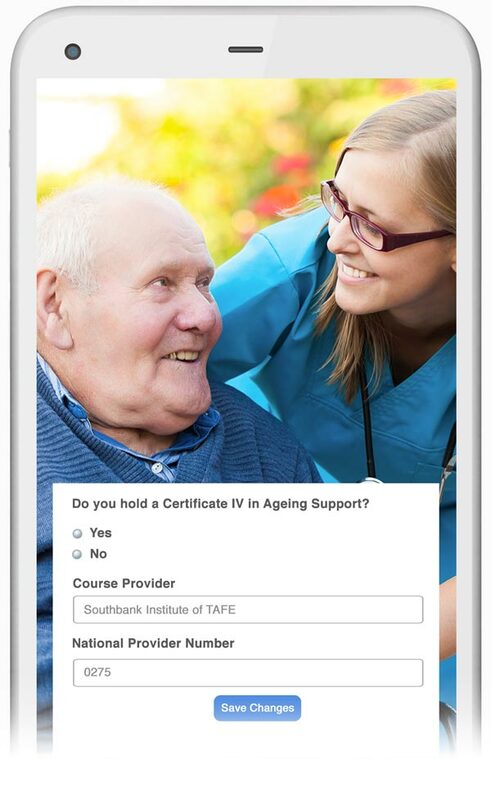 An all in one talent management solution for the aged care industry. Your residents. Your staff. Your processes. It’s your talent management system, so why should it dictate how you run your aged care facility? Switch from systems that dictate your processes and take charge with an automated, modular solution to improve people management in your organisation. 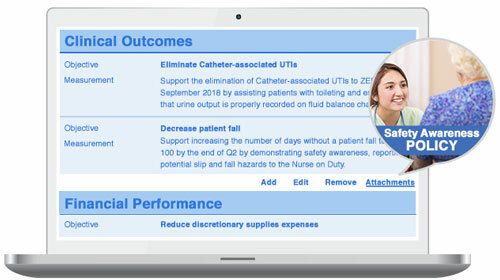 We’ve developed a solution pre-built with aged care industry content so you can focus on the things that matter to your business, be it patient satisfaction, financial objectives, clinical outcomes or staff development, it’s time to drive change and lead to success. Streamline your inductions and provide the ultimate onboarding experience to your new starters. Simplify compliance management with digital acknowledgements, policy checklists and centralised documentation. There’s no need to build goals from scratch (although you can if you want to!) We’ve created industry specific goal and objective libraries to give your team a head start. With a simple template builder, you can quickly select and cascade relevant goals to every employee in your organisation. With an automated performance management solution, managers can quickly and easily provide relevant and actionable feedback to every employee in their team. It’s simple to track every performance milestone and ensure your staff are engaged and challenged in a positive way. Conduct skills based assessments with absolute ease. Utilise our best practice aged care templates or build your own to create a profile of your workforce, determine strengths and opportunities and develop a strategy to match your definition of success. Looking for more information or ready to book a demo? Leave your details below and we’ll be in touch shortly. The future of your business begins today.